Looking for fma edit stickers? 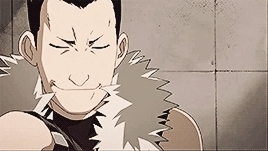 #dweeb#fma#fma edit#fma edits#fmab#fmaedit#fmaedits#fullmetal alchemist#fullmetal alchemist: brotherhood#i think this is a given lmao#my edits#my gifs#roy mustang#than you for the request!! #barry the chopper#dweeb#fma#fma edit#fma edits#fma lust#fmab#fmaedit#fmaedits#fullmetal alchemist#fullmetal alchemist: brotherhood#i've watched this episode countless times haha#jean havoc#lust#my edits#my gifs#queen#riza hawkeye#roy mustang#thank you for the request!